The Rain or Shine Elasto Painters is scheduled for a head-to-head game against the Talk ‘N Text KaTropa Texters at 7:00 P.M. on December 22, 2017 live from the Cuneta Astrodome. After a busy draft day last November, seems like the Talk ‘N Text KaTropa don’t bother shopping for a new player from free-agnecy instead they fly to Lithuania to sharpen their basketball skills. TNT was one of the teams last season that gave good challenge to the eventual trophy takers in all three conferences. KaTropa had a tune-up game against the Kazakh squad and Lithuania junior men’s team. Talk ‘N Text core lineup is almost intact compared to 42nd season and they have added Mark Tallo and Sidney Onwubere taken from the 2017 PBA Rookie Draft. “Remember, nabawasan pa kami. Nawala sa amin si Ranidel de Ocampo at Larry Fonacier,” said TNT team manager Virgil Villavicencio. This 2017-18 PBA Philippine Cup will mark as the second season for coach Caloy Garcia to lead the Elasto Painters after coach Yeng Guiao transferred to NLEX Road Warriors. Garcia was able to guide RoS to reach the Quarterfinals round in all conferences last season but unable to advance to the next round. “What we want this conference is to do better. I also want to see the consistency of the team,” Garcia said, as his team dominated the preseason tournament last month. Just like last year, the Elasto Painters still having injuries from their key players. This All-Filipino conference, Jericho Cruz and Jay Washington both will sit out. 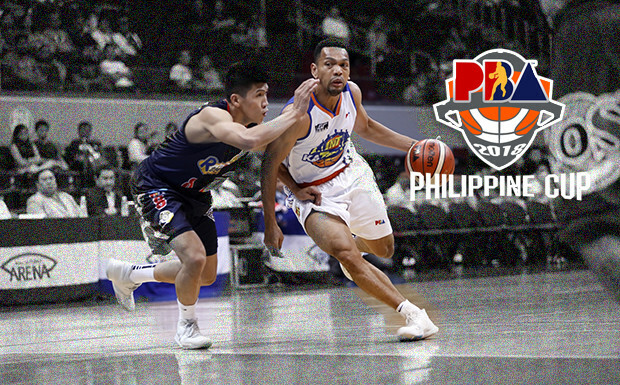 However, there’s good news for the team Raymond Almazan will be back in action and fully recovered from his injury that made him out from the Gilas Pilipinas that competed in Japan and here in Philippines for the 2019 FIBA World Cup – Asia Qualifiers.